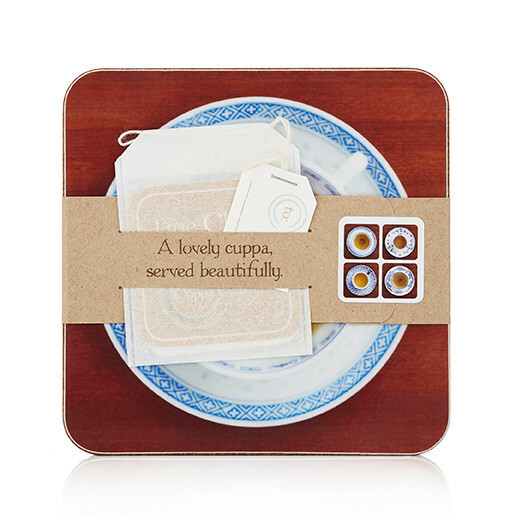 A lovely cuppa, served beautifully...a great gift too! 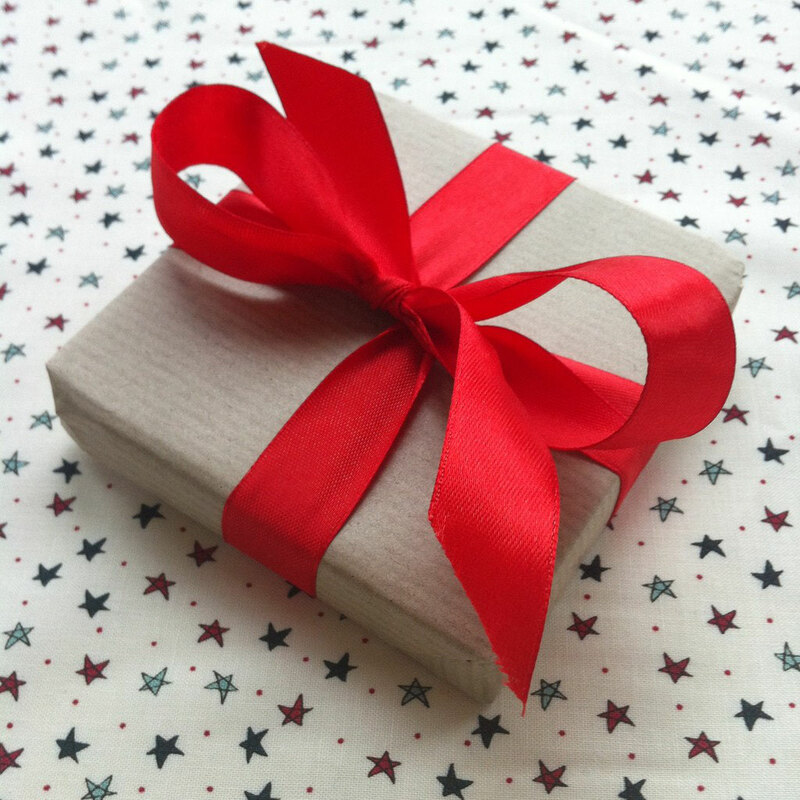 For worldwide delivery please visit my Etsy site. 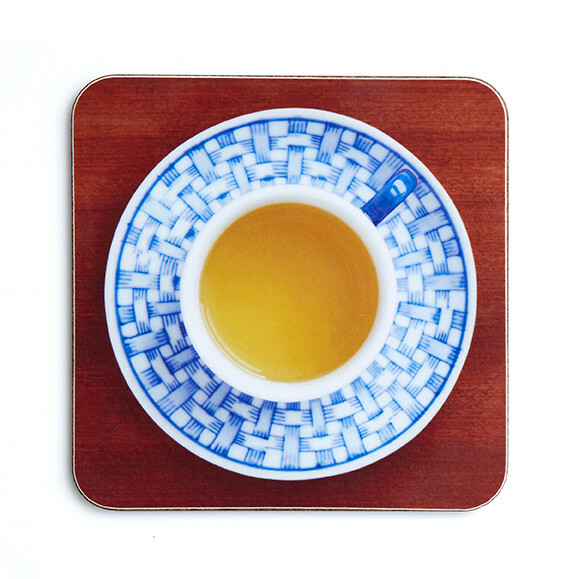 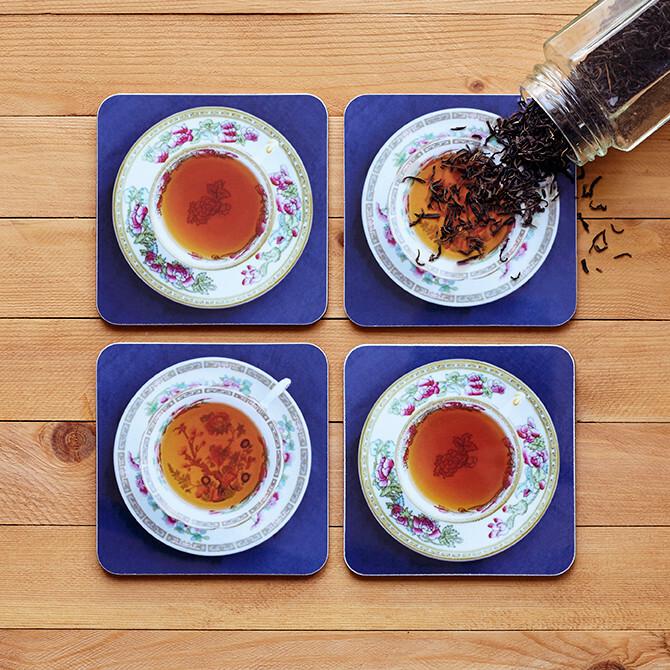 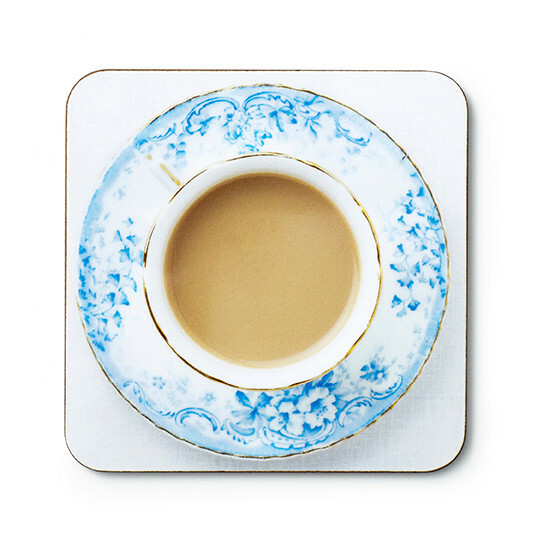 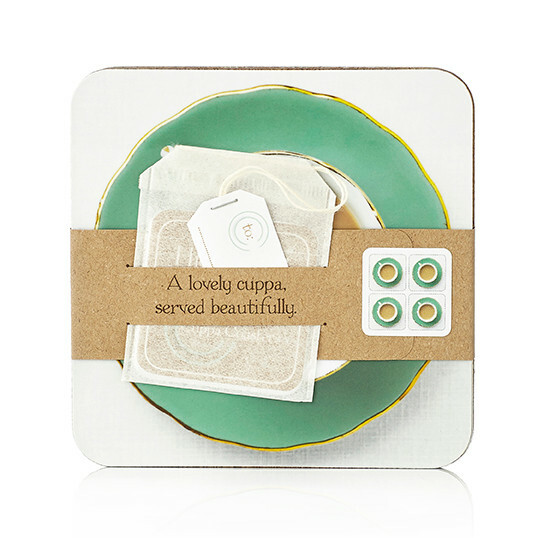 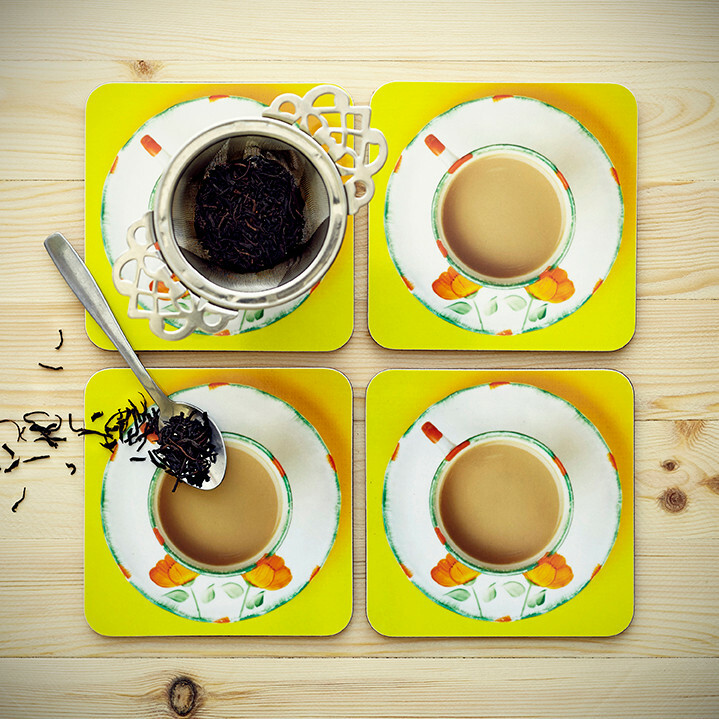 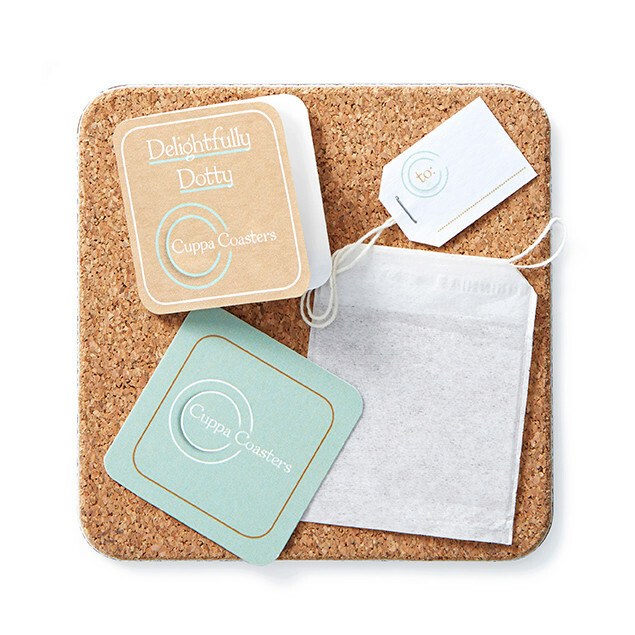 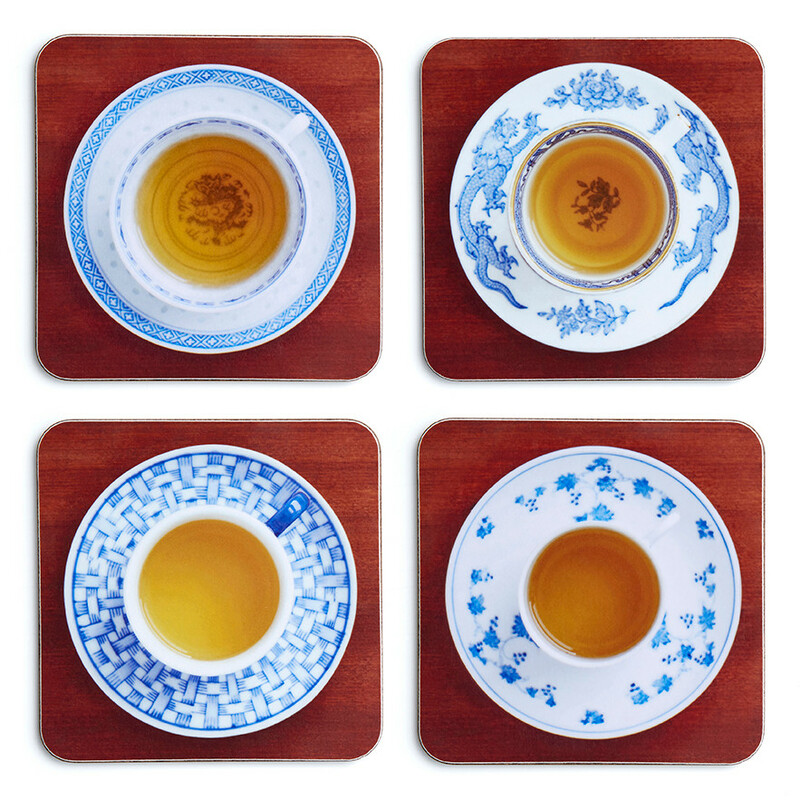 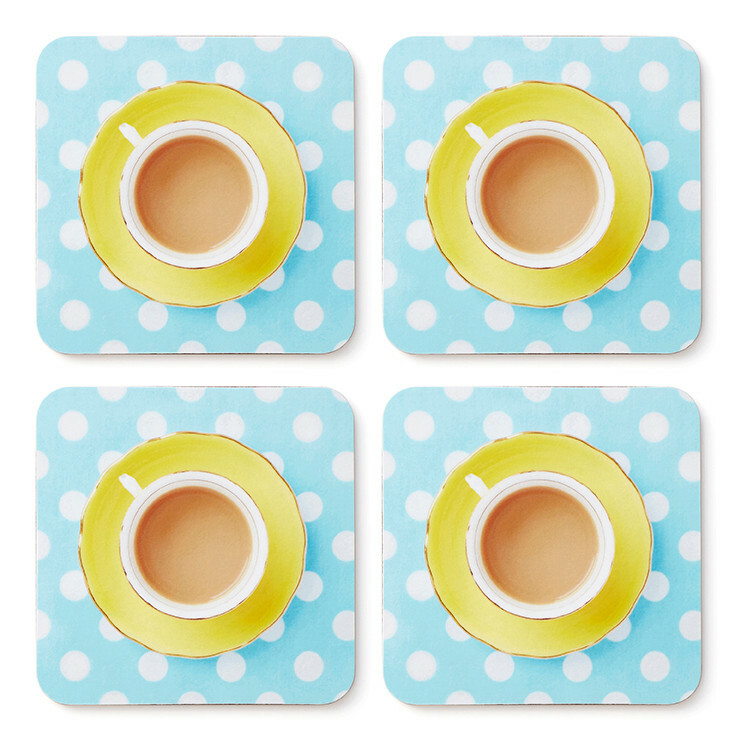 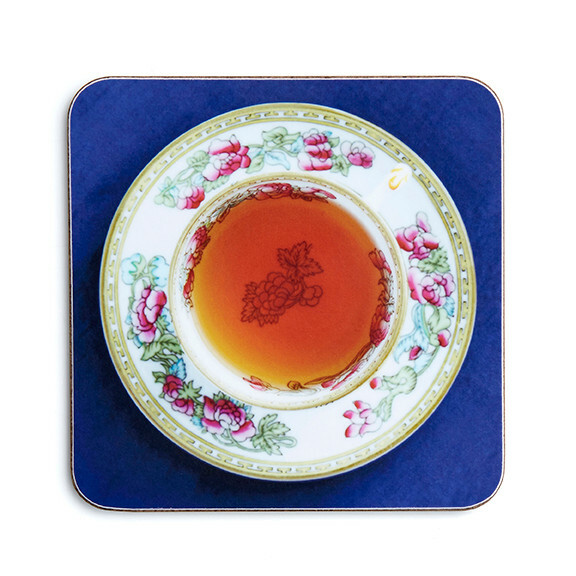 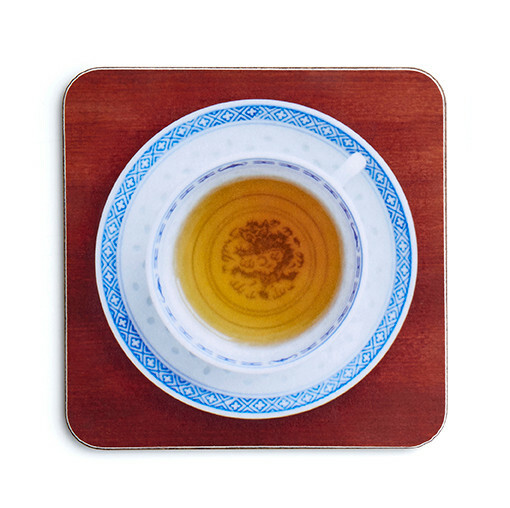 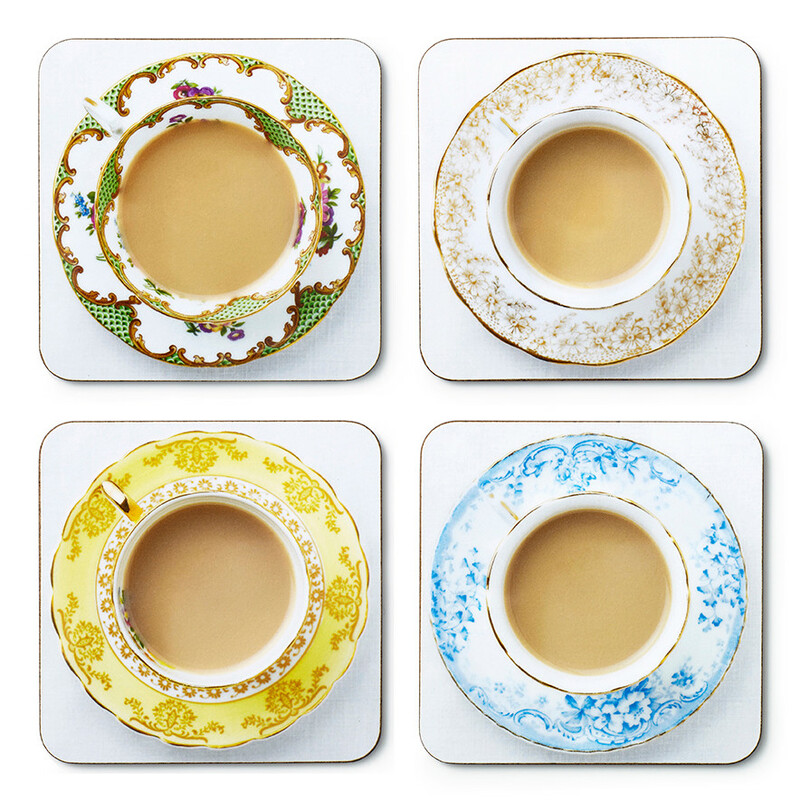 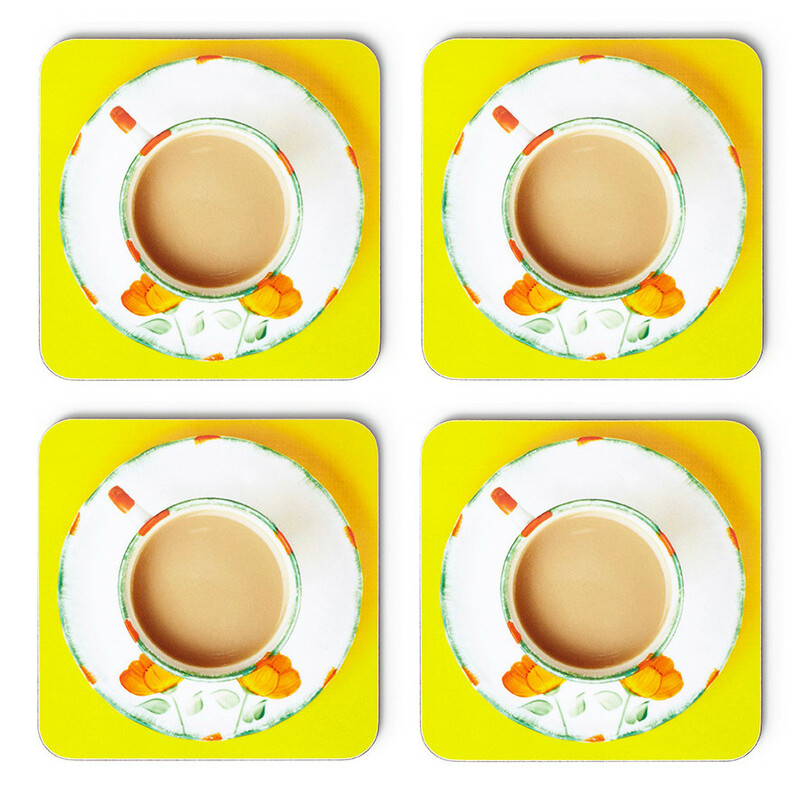 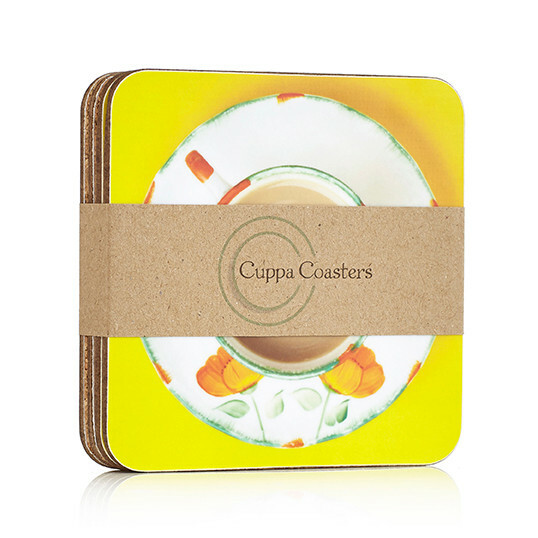 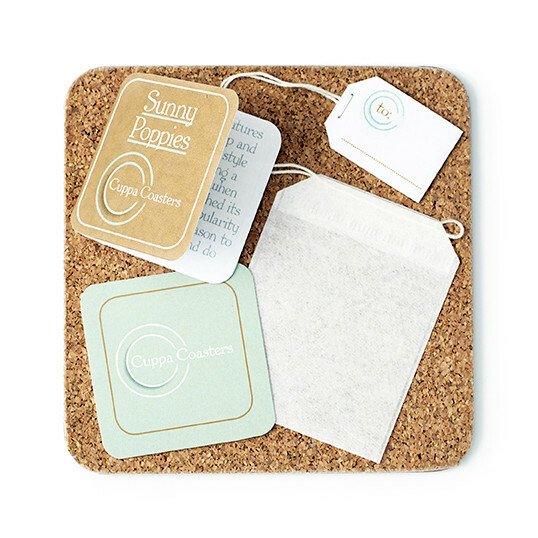 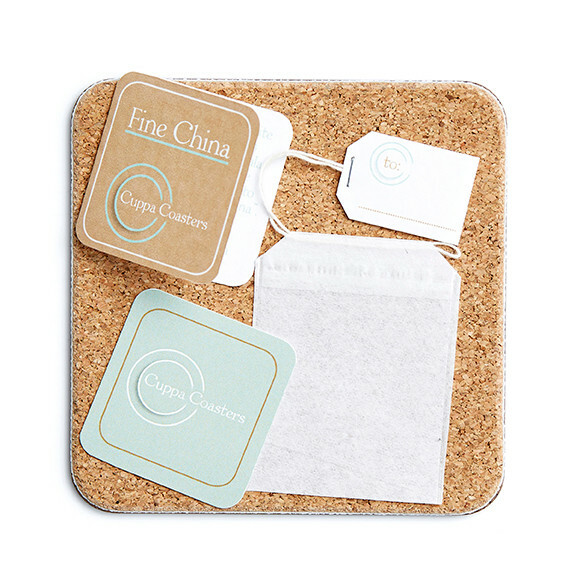 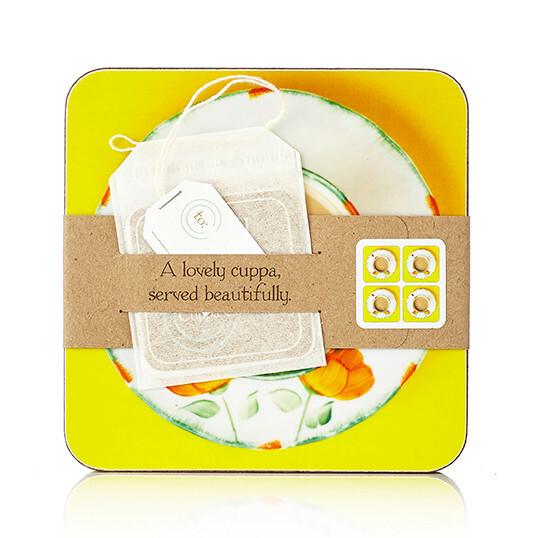 Gift label: Each pack of four coasters come with a quirky teabag to/from label. If sending a present direct, I will happily add the names to the gift label for you. 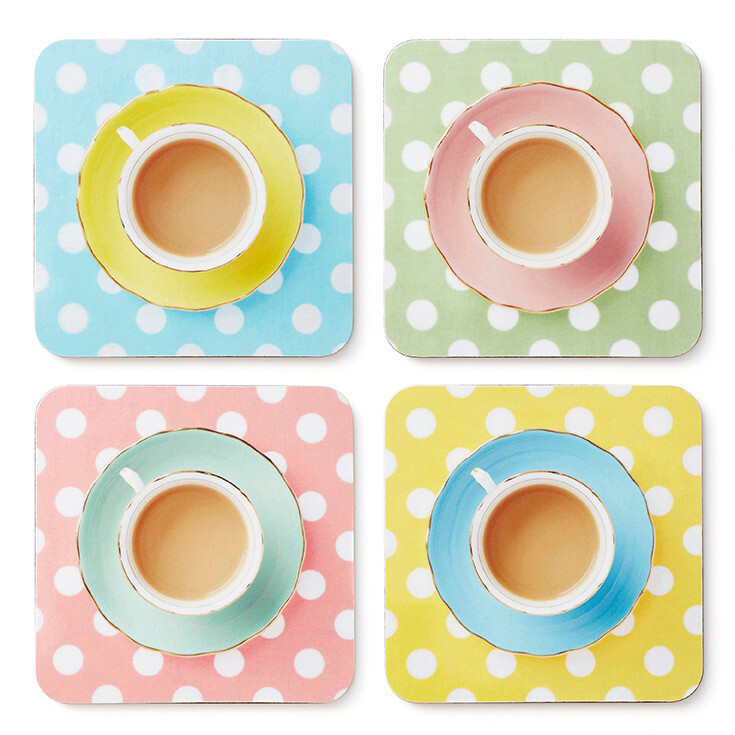 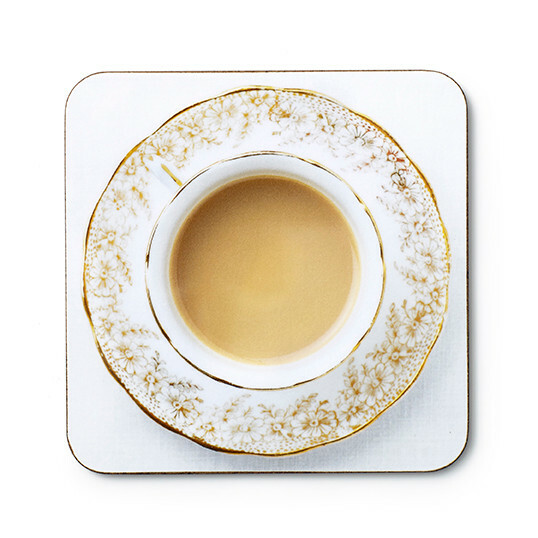 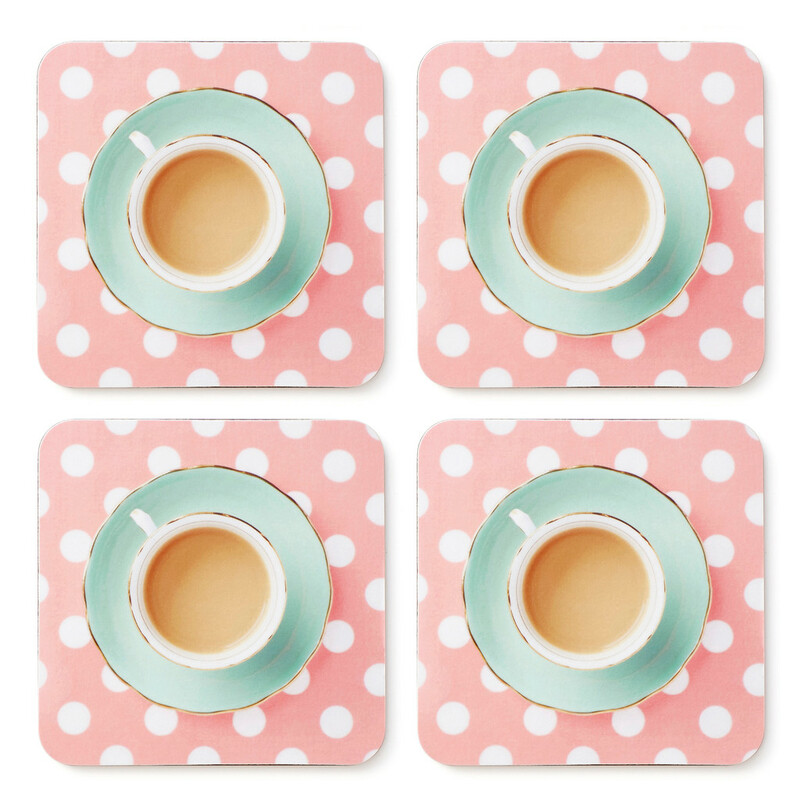 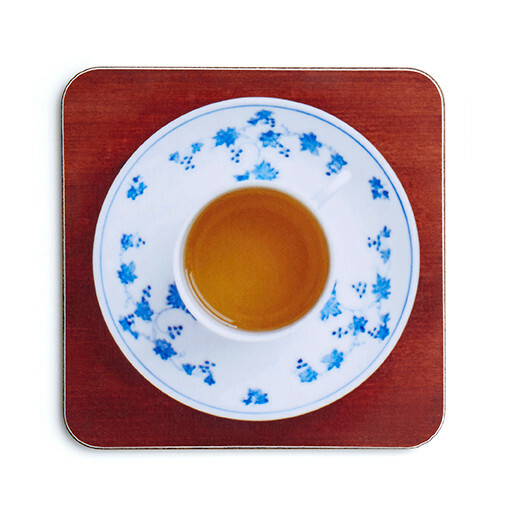 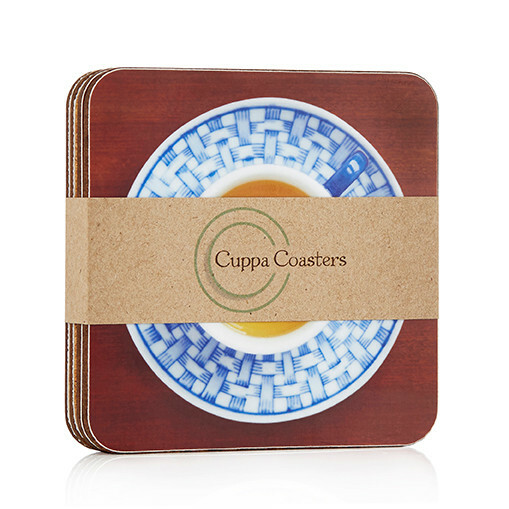 Quality: Each coaster has a protective cork backing and is topped with melamine, an extremely durable product, able to withstand temperatures of up to 140 degrees; and is easily wiped clean. 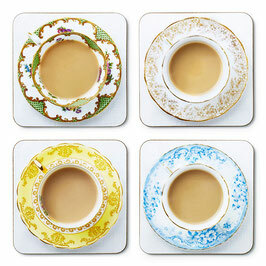 The Afternoon Etiquette set is a decorative mix of vintage patterns from the likes of Aynsley and Balfour. 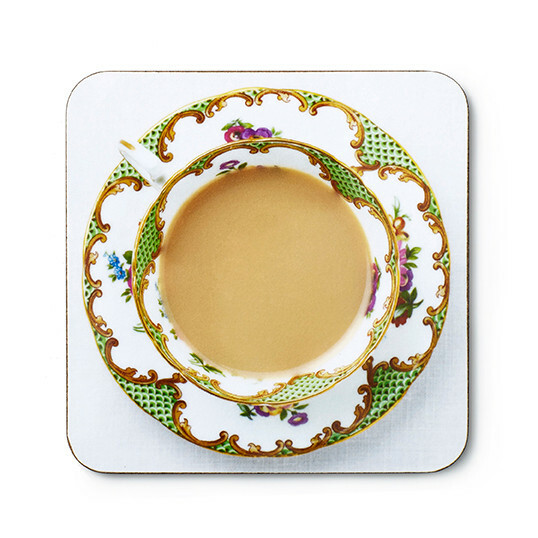 Intricate designs perfect for a truly English afternoon cuppa, although the ‘pinkies up', ‘no clinking', and ‘sip, don't slurp' rules need not apply. 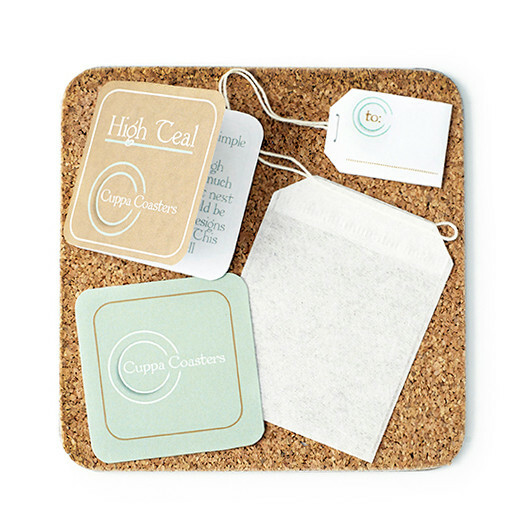 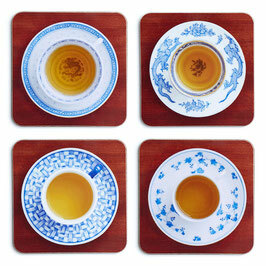 Four coasters per set, teabag gift label included. 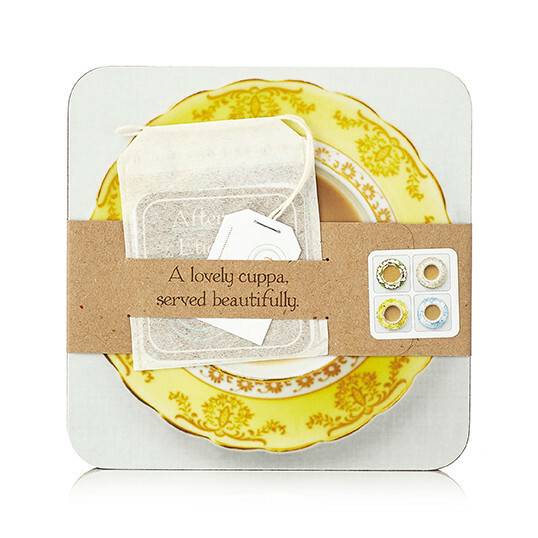 The Sunny Poppies set features Swinnertons' teacup and saucer. 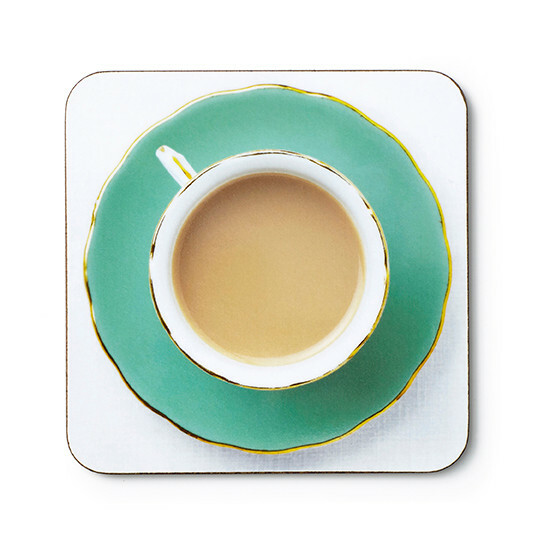 Its art deco style harks back to sipping a cuppa in the 1930's, when ‘afternoon tea' reached its peak due to the popularity of tea dances. 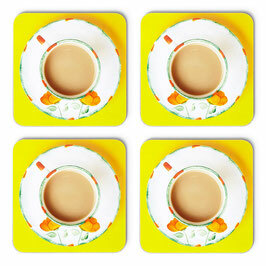 A reason to put the kettle on and do the foxtrot. China’s Blue and White porcelain tableware was so well known and popular that it earned uppercase ‘B’s & W’s’ and came to be known simply as “china”. 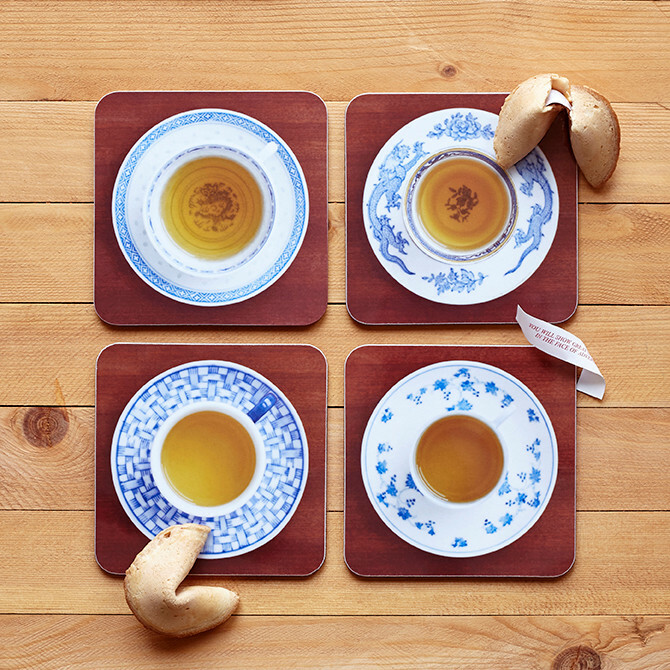 The Fine China set is made in England, but perfect for all the tea in China. Delightfully Dotty pictures Herbert Colclough's simple yet elegant tea sets. 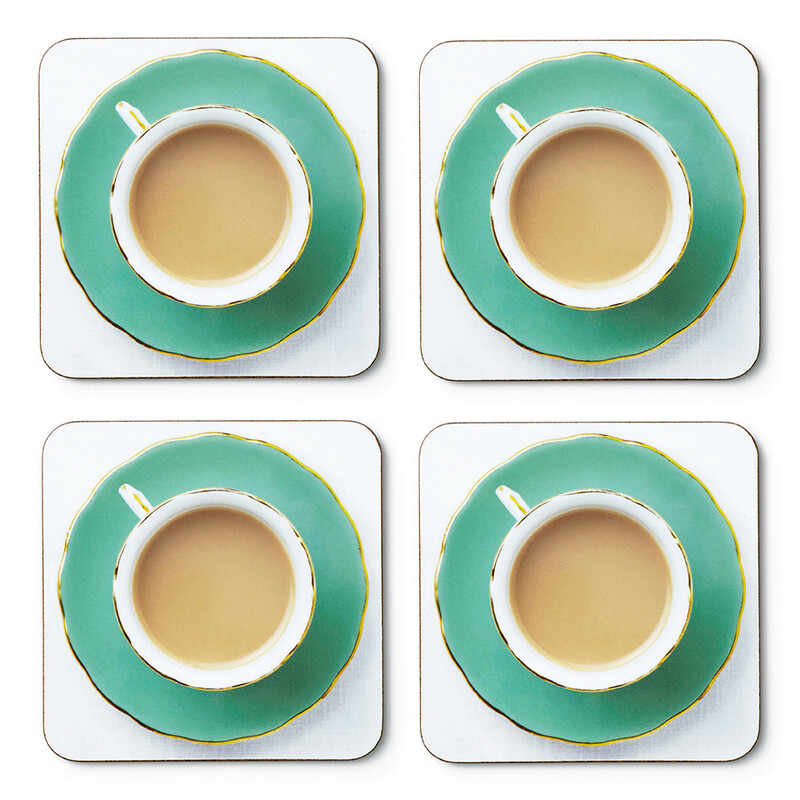 The conscientious Colclough loved his pottery so much he stayed up all night next to his kilns so he could be the first to see the designs when they emerged. 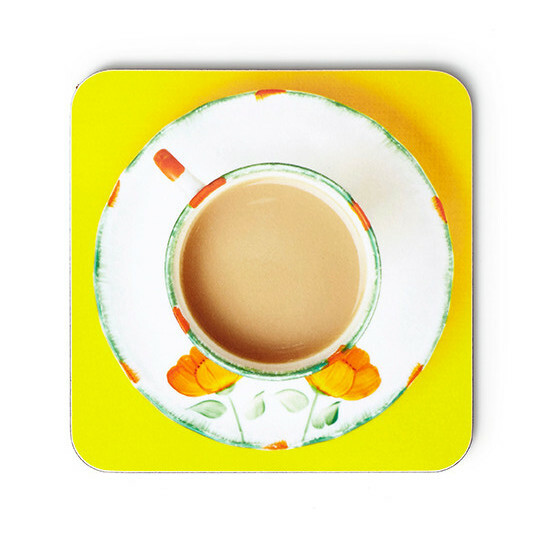 These colours were well worth the wait. 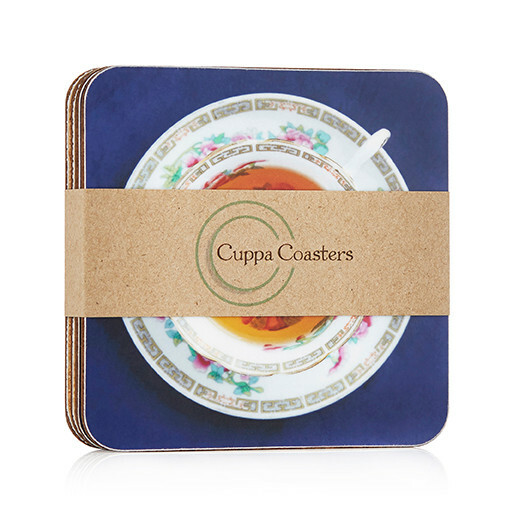 Different colour combinations available! 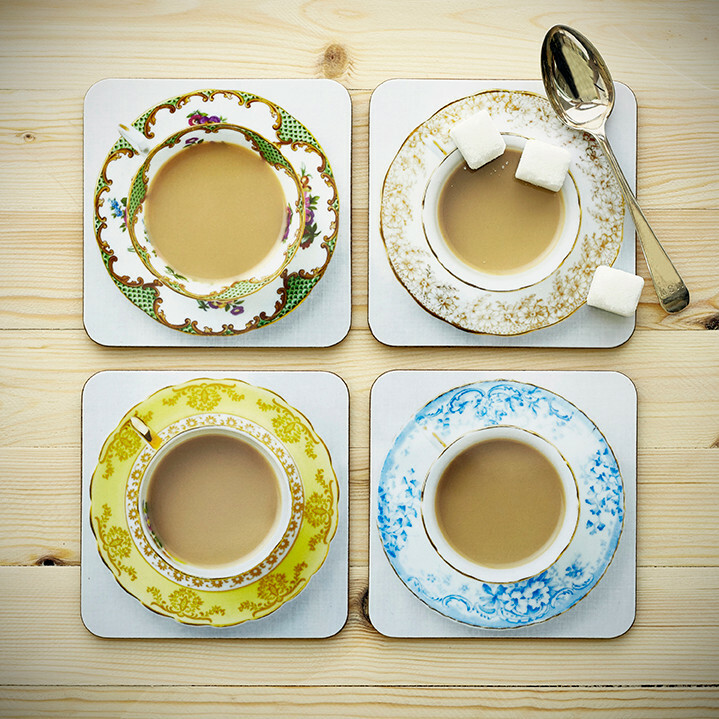 If the mix you want is not shown here please get in touch. 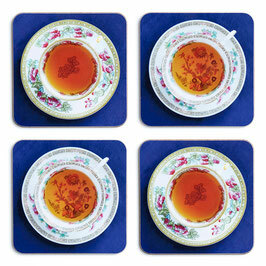 The difference between Afternoon and High tea? 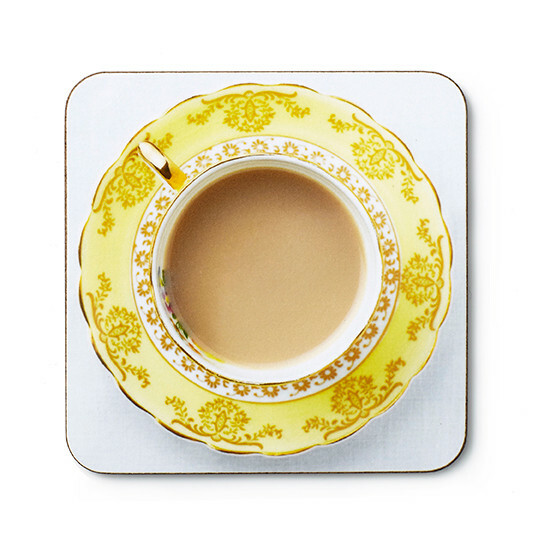 ‘Afternoon Tea’ was served to aristocracy on low, comfortable, parlour chairs, while the workers took their ‘High Tea’ seated at the table on high-back chairs. 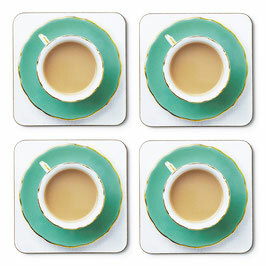 But the High Teal set is still classy, wherever you decide to sit. The Indian Tree design, inspired by Eastern fabric patterns, was first created by Coalport (but copied by many) and was popular during Britain’s rule of India and the roaring Darjeeling & Assam trade, when Indian tea and textiles were all the Raj! 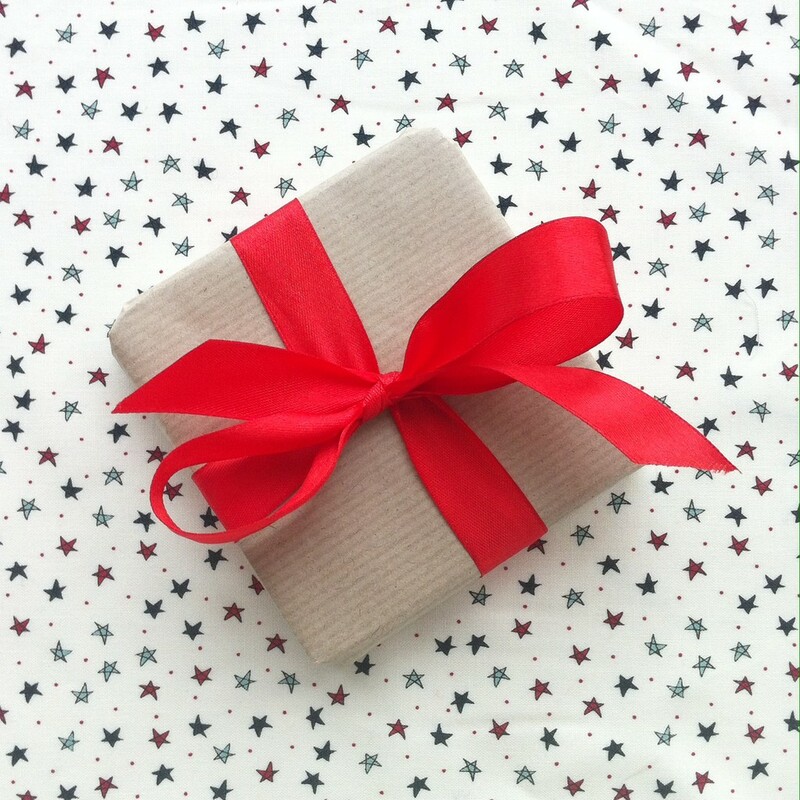 Add gift wrap to your order! 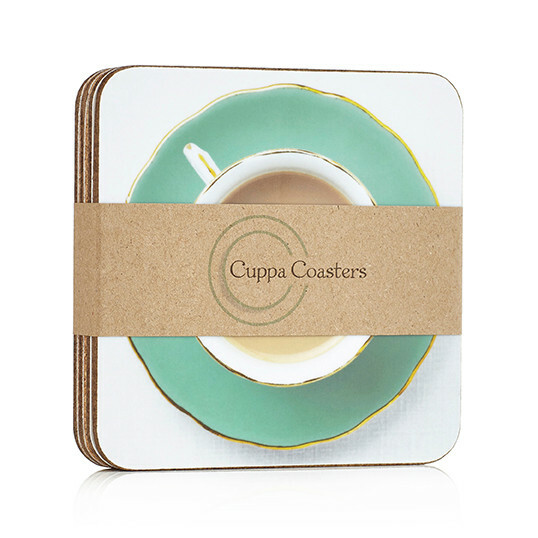 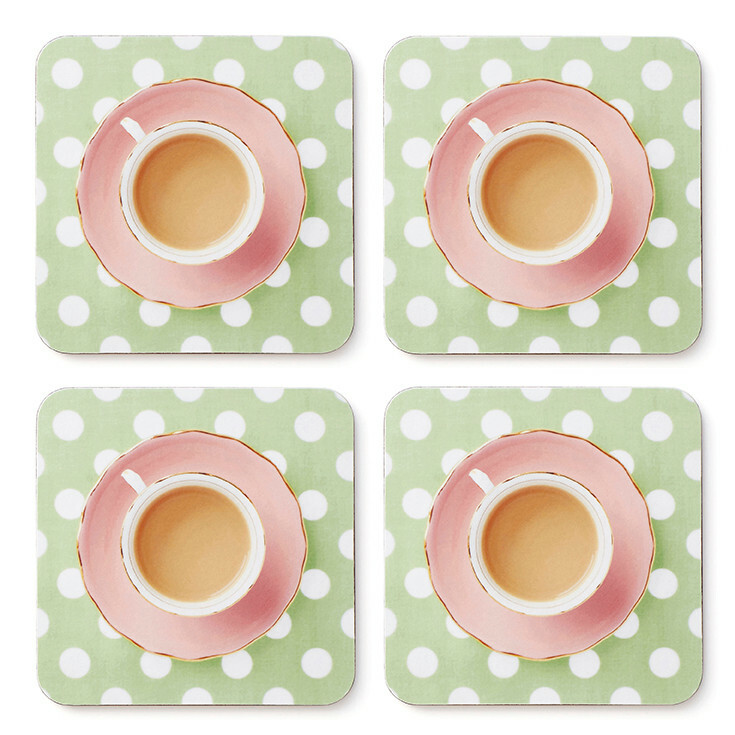 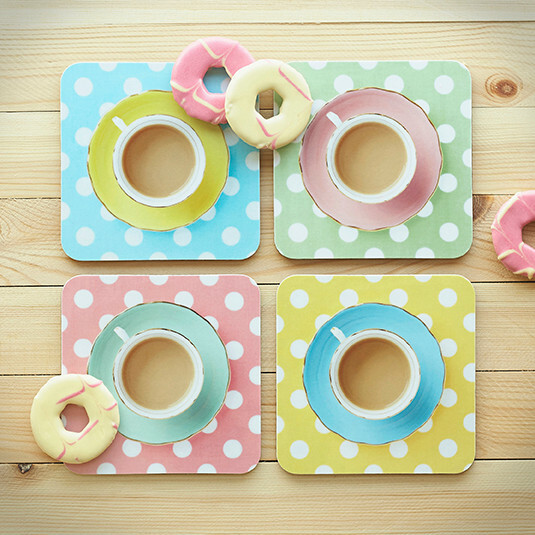 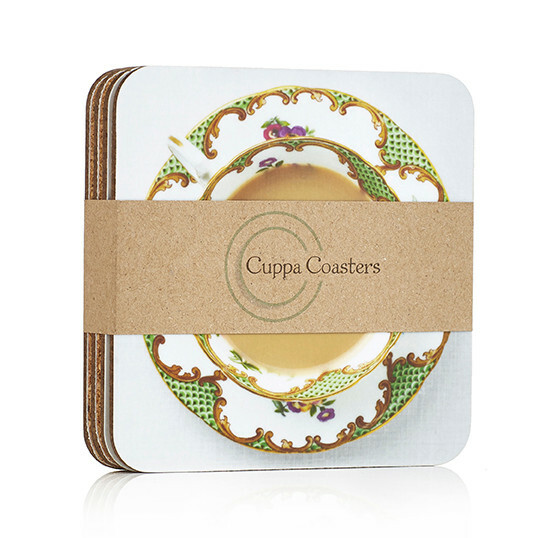 If you are sending a coaster set as a gift then add wrapping to your order! 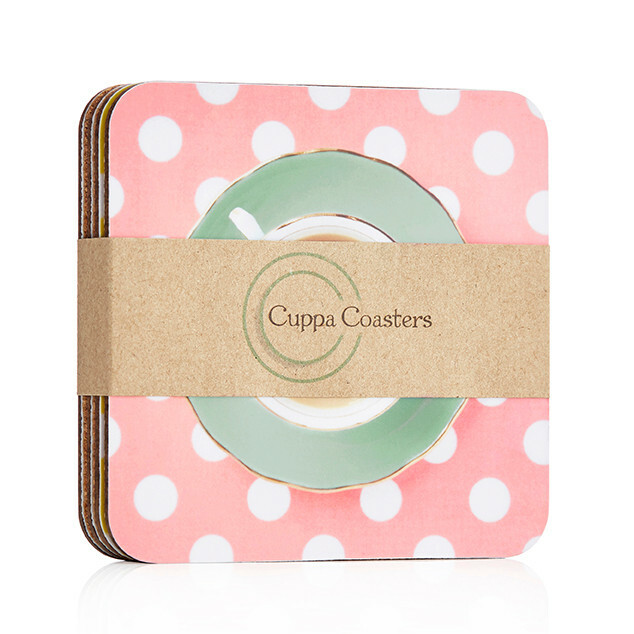 I can write your To/From names on the gift label and send it directly to the lucky receiver. 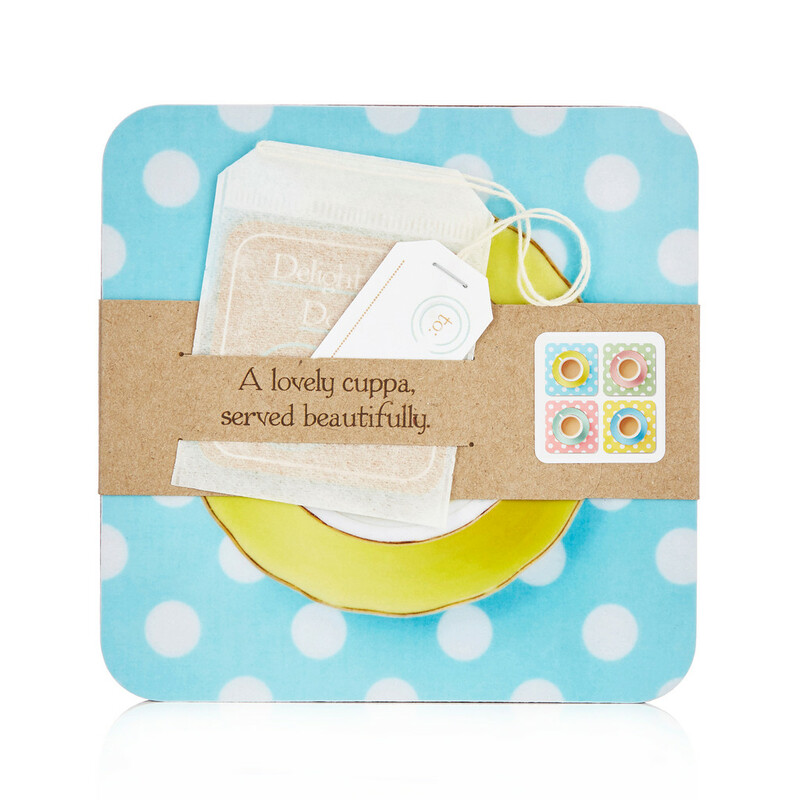 Just add wrapping to your order before you check out.